Half the year may have gone by but that doesn’t mean there isn’t time to give your kitchen or bathroom a little spruce up. After all, now is the perfect time - with summer finally upon us the inevitable BBQ’s and family get together’s are looming. So, what better way to welcome in the season with a stunning new set of tiles? The first tile up on our list is the fish scale, otherwise known as the fan, tile. This tile look stunning thanks to its unique design that creates a beautiful sense of fluidity and style to a wall, floor or splash back. 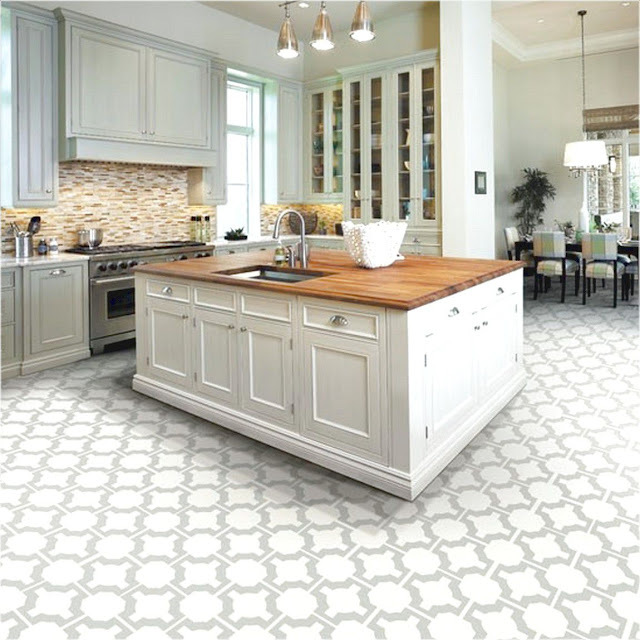 The fan tile offers a unique design that can make any room stand out by giving it a little something extra when compared to the generic square shape typically seen with tiles. This tile looks particularly incredible when used alongside oceanic colours such as greens and blues to give that sought after mermaid aesthetic to a room. 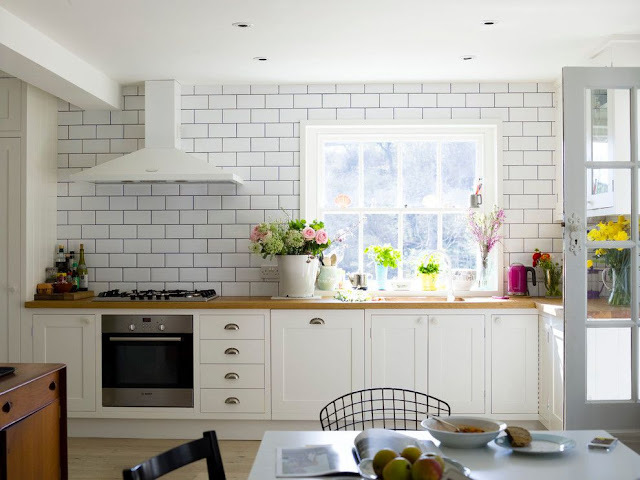 Pair with some nautical or sea themed accessories and you will have a truly envious kitchen or bathroom. 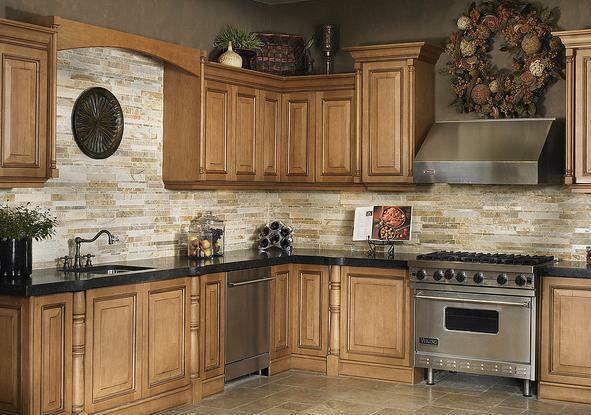 With its rustic tones and earthy look natural stone tiles are all the rage right now. Over recent years the trend of bringing the outdoors in has only continued to thrive with homes and commercial properties alike. Both are incorporating the use of natural colours such as browns and greens for a calming atmosphere. Natural stone tile are unbelievably strong and are very difficult to damage, giving you impeccable value for your money long-term. One of the key benefits of natural stone tiles is their ability to be impervious to water, making it ideal for kitchens or bathrooms that are frequently exposed to liquids and moisture. Natural stone is available in so many different colours, textures and types. From Limestone to Slate there is something to suit every property and when coupled with golds and other similar warm accent colours, natural stone tiles make for an elegant feature. Metro tiles have seen a huge surge in interest this year thanks to the variety of colours on offer and therefore the many styles they can create. The metro tiles usually come with a bevelled edge. This means that the tiles are slightly curved on the edges to create more definition. Typically, the metro tile is installed in a horizontal format as you would typically see with a brick wall for example, however, using the tile vertically can give a gorgeous retro look. 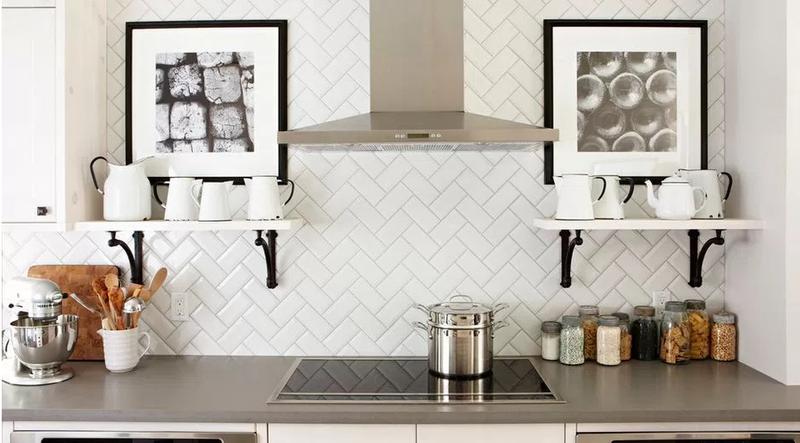 Metro tiles can credit a lot of their recent success to the increase in interest in the herringbone style. The herringbone sees the metro tiles installed using a chevron method to give an almost zig zag look. This adds a modern twist to a vintage classic and is a subtle way of introducing patterns to a room without something that is too in your face. Metro tiles are typically ceramic, meaning that they come in a huge range of colours and styles making finding your perfect tile easy! As you might have noticed recently, patterns are back and more popular than ever and tiles are no exception. Patterns are an excellent way of adding some extra definition to a room that can build a strong aesthetic comparable with a show home. Pattern tiles in bathrooms or kitchens can help you to bring in a range of accent colours to a room. If you’re more about that monochromatic look, patterned tiles can help to liven up an otherwise neutral room by adding that little extra something to a kitchen or bathroom without being glaringly obvious. Natural stone. At a previous address I had floor tiles laid on the kitchen floor. I thought this would be practical. Went for terracotta, as I thought there would be a good range of colour options left for kitchen decor, etc. Nice to see the variety of tiles available. The Fish Scale fans look interesting! I like the fish scale. I find it more intersting than the others. Tiles I believe are often chosen due to their practicality and durability. Therefore style choice can be important, something nice as well as acceptable over time. Kitchens and Bathrooms are places which I like to have kept nice, clean, tidy, accessible, etc. So they do seem to be rooms in which tiles can be particularly practical. The durability of tiles being a bonus. As we need access to the kitchen for food and refreshments. Bathrooms we need access to in order to relieve ourselves when it comes to toilet needs. As well as access to bath / shower for personal hygiene needs. Needs are a Priority over wants. Especially when budget is limited. It is nice to see what variety is available within the tiling range. I love the natural stone. When we renewed flooring in kitchen a few months ago chose linoleum. Luckily that we did, as within a few weeks Housing Association informed us that flat to be renovated. New heating to be installed later this year, and will require flooring to be uplifted. I can recall a previous property in which I had tiles as flooring within the kitchen. It was an expense in finances and time. As boyfriend at the time, laid the kitchen floor tiles for me. Seemed worthwhile at the time, as would last for some years. We will need to consider new flooring for whole flat, once renovation/s are completed. I do like something practical, durable, etc for kitchen and bathroom. They are rooms which we use regularly and frequently, needing access to them. Hall is another place which gets a lot of foot trod, so will need to carefully consider type of flooring. Carpet in hall at present time, it was something we were preparing for renewing by browsing. That has been put on hold, now that renovations are to go ahead. Will be done following renovations. Pictures show such a variety of kitchens. They seem bright and spacious. Never had a large spacious kitchen. Have heard Fern Britton mention that at her home they have separate kitchens :- His and Her's. Fern and Phil. Suppose it makes sense with him being a chef. Though luckily for them they have managed to afford such a practical solution for their lifestyles and family life. Fern comes across as friendly and fun in nature / personality in her role as Tv Presenter. I enjoy watching her. Not so keen on Phil, though she says he is Wonderful. Maybe it's the TV Chef thing :- Some TV Chefs came across as rude and arrogant i.e Gordon Ramsay being the worst. Surely he should encourage staff, no swear at them. At the moment we are attempting to sort out, and clear out prior to renovations at flat. Though we will later on have to consider flooring etc. It will be an upheaval, though we are trying to tackle it gradually. Luckily we have been offered some assistance, we have arthritis, so some tasks are difficult or impossible for us to do. Still hopefully once all the work is done, and we are resettled back at home :- We can try and have a home which is comfortable, appropriate to our needs and welcoming, etc. Wall tiles in first picture look nice, classic.